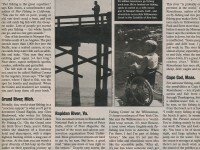 Roughly a decade ago, during the time of the MLPA meetings, I wrote a letter to the editor of Western Outdoor News. The gist of my letter was that anglers were sometimes their our own worst enemies. At a time when public support of fishing was needed, too many anglers broke the rules. Too many kept fish that were too small, too many kept over the limit numbers of fish, and too many broke the seasonal regulations, i.e., for lobster. And unfortunately, too much of this was taking place on the piers where casual passersby could note the actions. It might happen as often on boats or kayaks but they were generally out of view of the public. 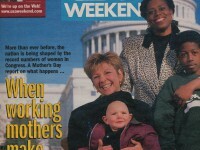 Not much seems to have changed in the intervening years. In fact, a recent incident at the Huntington Beach Pier once again brought down the wrath of the public on anglers—and especially pier anglers. 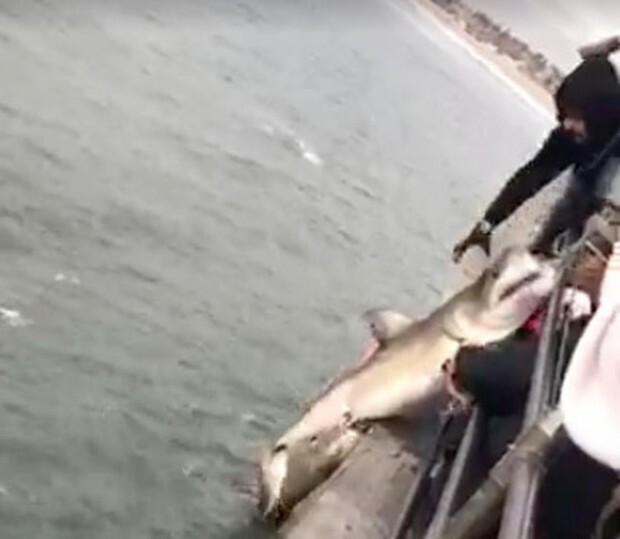 In late February a shark, probably a great white shark, was hooked from the pier, gaffed using a treble-hook pier gaff, and brought up to the pier to cheers from a crowd of interested onlookers. 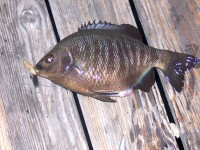 Pictures were taken and then, apparently, the fish was thrown back into the ocean where it probably died. 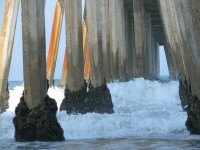 The entire episode was filmed by a visitor to the pier who then posted it to YouTube. 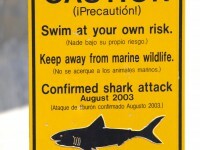 Soon after someone showed the film to local lifeguards who then contacted the California Fish and Wildlife Department. By then the film had gone viral. Understandably the Fish and Wildlife Department is investigating with a certain amount of caution. Was it a great white shark whose capture is prohibited? Was it a mako shark, which is legal to catch? Bottom line—does the department feel it can successfully prosecute the anglers for breaking the law? A lot of time and expense can be invested, and lost, if the department can’t prove it was a great white. A quote in the Orange County Register from the Department of Fish and Wildlife gives evidence of the problem. Spokesman Andrew Hughan, indicated the caution. “It hasn’t yet been determined to be a great white. There are many sharks that look similar,” he said. “I would ask the public to be patient. We are working diligently, investigations take time. Just because everybody says it’s a white shark, doesn’t mean it’s a white shark. We are very well trained and experienced and we’re wildlife experts, but this isn’t ‘CSI,’ we can’t determine things overnight.” In time we will know their conclusion and what legal steps will be taken. 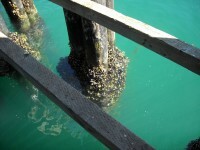 Judgement from local pier anglers was much quicker to reach a conclusion—one of guilt. Many were incensed and convinced that the anglers were seeking out the great whites. One of the regulars I talked to asked the question: “What does it say when an angler is using 12/0 to 16/0 hooks and a 200-pound wire leader? What else could they be fishing for? Given that new, more critical attention is now focused on local pier fishermen, especially those who target large thresher sharks and bat rays, there was little sympathy shown to the anglers under investigation. The odds do seem to favor the notion that it was a great white. The catch of the (assumed) great white from the pier followed an unprecedented increase of great whites seen in the area during the past few years. In 2015 scientists working with Chris Lowe of Long Beach State University, the local expert on sharks, spotted 21 great whites off of Huntington Beach and tagged 16 of the fish. .
On Memorial Day 2016, an unidentified shark bit a woman swimming in the surf at nearby Newport Beach. She lived but evidence from the size of her wounds suggested it was a great white over ten feet in length. 2017, a new year and more sharks. On February 14 a (supposed) juvenile great white, just 6-7-feet-long, was hooked and lost from the Huntington Beach Pier. On February 20 or 21 an 8-foot-long great white shark was reeled in by anglers targeting thresher sharks while fishing from the surf in Sunset Beach (near Huntington Harbor). The shark was released. Just a few hours later on the same day the great white that has caused the current controversy was hooked from the Huntington Beach Pier. 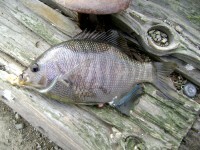 Its capture was documented on a YouTube video by Mike Hefner, a visitor who just happened to be on the pier that day. The YouTube video has now been seen by more than 100,000 viewers. As mentioned, viewers brought the YouTube video to the attention of local lifeguards who then brought it to the attention of the California Department of Fish and Wildlife. The drama wasn’t over. On February 23, a helicopter crew spotted an 11-to-14-foot-long shark swimming 100 feet off of Bolsa Chica State Beach. A few hours later a 6-7-foot-long great white was spotted in the same area. 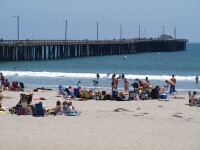 In response, swimmers were banned from using a two-mile stretch of waters along the Huntington Beach shoreline. None of this surprised regulars on the pier who have reported seeing great whites many times. Their conclusion was that the great whites were feeding on the sting rays in the surf area — and they may be right. In regard to the capture of the shark at the pier, the questions are fairly simple. 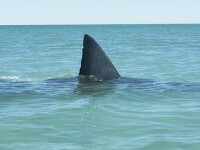 Was the angler targeting great white sharks? Of course not according to the angler. Did they know it was a great white when they saw the fish at the top of the water? Of course not according to the angler. 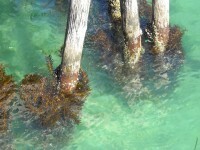 Why did they gaff it with a pier gaff and bring it up to the surface of the pier? They said it was too big for a net so they used the gaff but that doesn’t answer the question about bringing it up to the pier in the first place. Some witnesses said they tossed the fish back into the water after celebratory pictures although no one seems to know if the shark was still alive. Why did they release it if they didn’t think it was a great white? No answers that I’ve seen. What should have been done? A quote reported by CBS Los Angeles gives the best response. “As soon as they have a visual of the fish on the surface and they determine that it’s not legal to fish for, they need to cut the line right way,” said Lt. Claude Panis, a safety officer with the Huntington Beach Marine Patrol. What is not in question is the fact that great white sharks have been a protected species since 1994 and that their catch can result in a fine up to $10,000. It’s also known that while most “shark” anglers on piers are seeking out thresher sharks, leopard sharks, or big bat rays there are some anglers who hope to catch a great white and purposely target them (and it can be hard to tell the difference simply based on gear). The incident brought back memories of the controversy that took place at the Manhattan Beach Pier in May of 2015 when a great white shark was hooked by an angler on the pier. A swimmer than ventured out by the hooked shark and was, in turn, bitten by the agitated fish. No one blamed the swimmer or the fish; all blamed the angler who had hooked the fish (while fishing for bat rays). The city exploded! The pier was illegally closed, hearings were held, and the city council issued several new city ordinances that were, in themselves, illegal. These included banning all fishing for sharks, prohibiting wire leaders, and prohibiting certain types of fishing line. The California Coastal Commission and the Department of Fish and Wildlife said they couldn’t do what they did but as of 2017 those rules are still in effect. The situation at Manhattan Beach as well as an earlier incident was reviewed in articles I wrote for my kenjonesfishing.com blog. Long term the situation made the city, anglers, and the state departments look bad. And, the situation has still not been resolved. More meetings are scheduled but progress has been nil to date. As to the sharks, white shark versus mako, it turns out I had written an article on the differences in 2011. Both incidents, the one at the Huntington Beach Pier and the one at Manhattan Beach have, unfortunately, made anglers look bad to a certain segment of society at a time when anglers need all the support they can get. Some day we’ll learn. The issues involved in these two stories do bring up the corollary question of what to do when you hook an illegal fish.It’s not that uncommon to hook illegal fish, i.e., garibaldi or silver salmon, but you need to know your fish and know what to do if you hook an illegal fish. 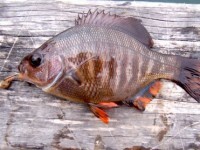 Sometimes you want to remove the hook or tackle from the mouth of a fish and for small fish like a garibaldi you might be able to net the fish and carefully remove the hook before putting it back down into the water with a net. For big fish like a giant (black) sea bass, a sturgeon, or a large shark simply cutting the line is probably the best answer. As said though you need to know your fish species. I have my own species name for ignorant anglers—Knuckleheadus californicus: California anglers who through ignorance, or purposeful negligence, fail to follow California’s fishery laws. Especially egregious are those who purposely target and catch “illegal” species and whose actions lead to the death of those fish (even if attempting to return them back to the water). Anglers today must know the species and must follow not only the rules but also best practices as far as catch and release and the proper handling of fish. Failure to do so not only can mean the loss of the fish but also the loss of support of the public who far too often sees anglers as harming the environment instead of people who usually are trying to preserve it. Most anglers I know are ethical and support conservationist efforts but there are also those that don’t. It’s our job to reach out and teach those who are still acting like knuckleheads and harming the reputation of reputable anglers. By the way, here’s one more article on great whites, a story I wrote after a lady was killed at Avila when she decided to swim by the sea lions at the pier. It wasn’t a wise choice since great whites like nothing better than seals and sea lions and a swimmer in a wet suit can look a lot like a seal. 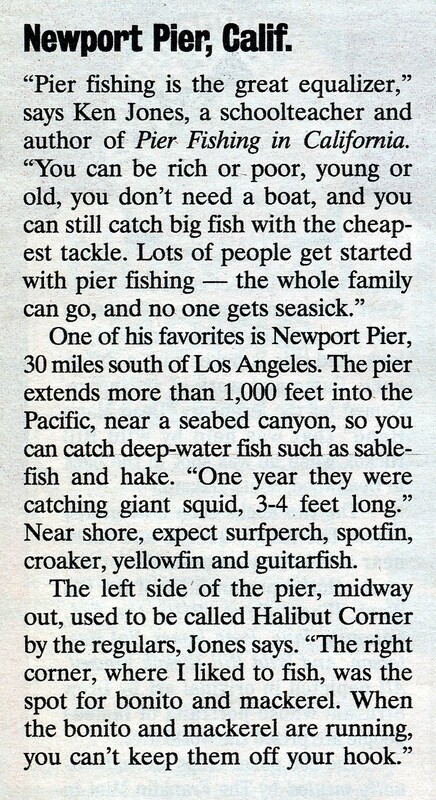 Posted in Daily musings... and tagged with Avila Pier, California piers, great white shark, Huntington Beach Pier, Mako Shark, Manhattan Beach Pier, Pier Fishing in California, pierfishing, saltwater fish, saltwater fishing, white shark. RSS 2.0 feed.